Tuesday, January 15 and Thursday, January 17: High School Placement Test Preparation Program Available at Serra! 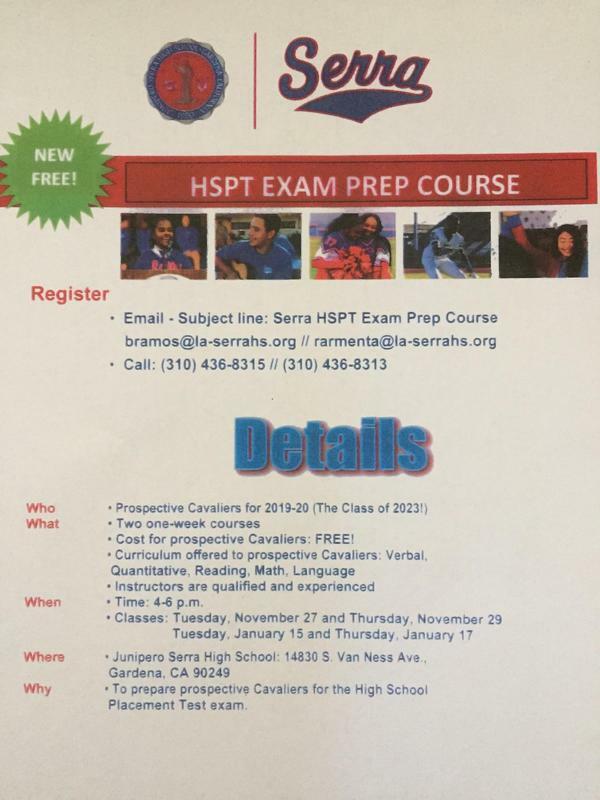 Our Test Prep program, will prepare 8th Grade students for the HSPT. To find out more, click on the accompanying photo. Hope to see you here!